Hey guys! Hope you are all well. I'm not going to ramble too much today as I have a video for you all to watch but I'd just like to say a massive thank you to all of you who have subscribed to my channel, followed my blog and taken the time to leave me such lovely comments and even send me lovely emails. It really does mean a lot to me and definitely wasn't the reaction I was expecting so thank you so much! 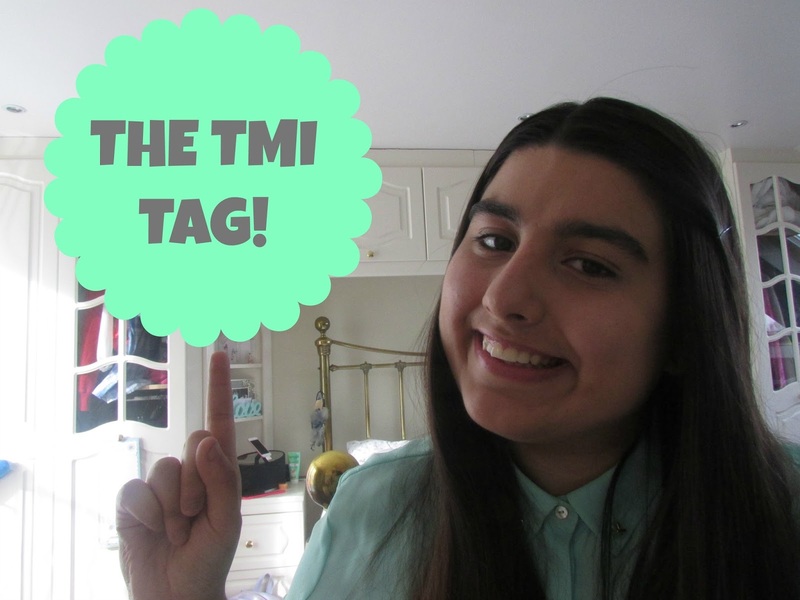 The TMI Tag is something that I have seen on the blogosphere and within youtubeland a lot lately so I thought as my second video why don't I film it all for you just so you can get to know a little bit more about me as I don't feel like you know me well enough and I definitely want to start showing you sides of my personality so you get to know me a lot. So click the link above to watch my new video. It is quite long as there are 50 questions. I don't know about you but I wouldn't do this as a post as I just think it would take me forever. If you don't have a you-tube however, and still want to answer these questions then here they all are for you to copy and paste into your blog and answer. 8: OTP - ONE TRUE PAIRING (SHIPPING)? 11: Something you miss? . 26: The reason I joined Youtube? 30: Meaning behind your Youtube Name? So there we have it. 50 questions is a lot and in all honesty the title of the tag is really misleading as it really isn't 'TMI' at all. However I hope you all enjoy getting to know me a little bit more. If you decide to answer these questions on your blog/youtube please leave a link in the comments and I will be sure to check them out.